This bright colorful Pink In Spanish flashcard can be used for teaching Spanish or English languages as the translated words for both languages are on the card below. This is a large Pink flashcard which is easy to print. All you have to do is right click on the big picture below and select print. This education resource is free to use. It is ideal for school teachers, tutors, kids and young beginners. The color flashcard method can be used to teach babies their first words in Spanish. The color Pink In Spanish is rosa which also means rose - this is a short, basic word for children to learn and pronounce. This lovely flashcard picture is bright and bold to help make learning fun for kids. The large size makes it ideal for teaching a group or classroom of young children - also ideal for children to take home to practice simple vocabulary words. Older kids can learn how to spell and write the color Pink In Spanish with this free, printable flashcard. This is a successful teaching method which is often effective with babies, toddlers and preschoolers as flashcards provide an excellent introduction to the language and the first important words. Printable Color Pink In Spanish Flashcard for Children and ideas for lesson planning and teaching both languages. Free printable color rosa flashcard for kids and teachers. Picture cards with words for Pink In Spanish and rosa. 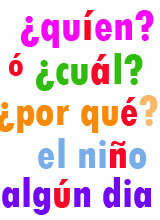 Color Flashcards for kids and teachers - los colores.